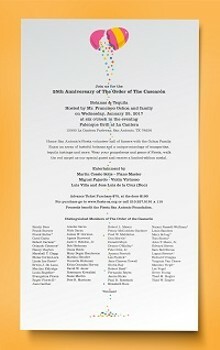 The 25th Anniversary of the Order of the Cascarón Botanas and Tequila event hosted by Mr. Francisco Ochoa and family. 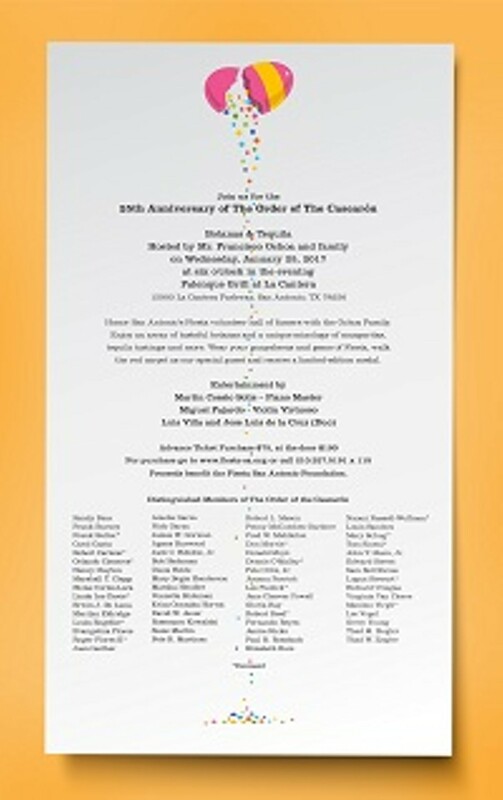 Honor San Antonio’s Fiesta volunteer hall of famers with the Ochoa Family. Enjoy an array of tasteful botanas and a unique mixology of margaritas, tequila tastings and more. Wear your guayaberas and gems of Fiesta, walk the red carpet as our special guest and receive a limited-edition medal. Entertainment by Martin Cossio Solis – Piano Master, Miguel Fajardo – Violin Virtuoso, and Luis Villa.